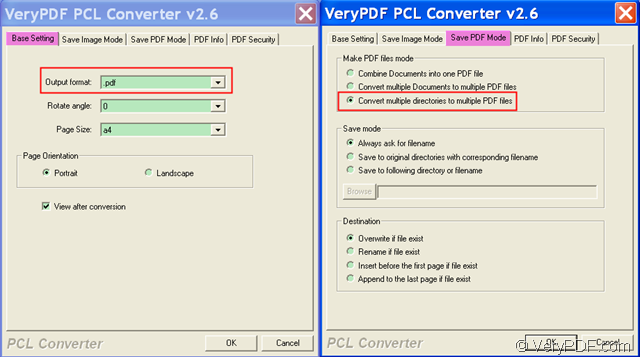 With the help of VeryPDF PCL Converter, you can convert PCL files in a folder to one PDF and add PDF information. PCL is a file extension which regulates HP printer control language. It will not open properly without an appropriate reader and will appear as a series of symbols and numbers when the file is activated. In this case, converting the PCL file to PDF will be a good choice. 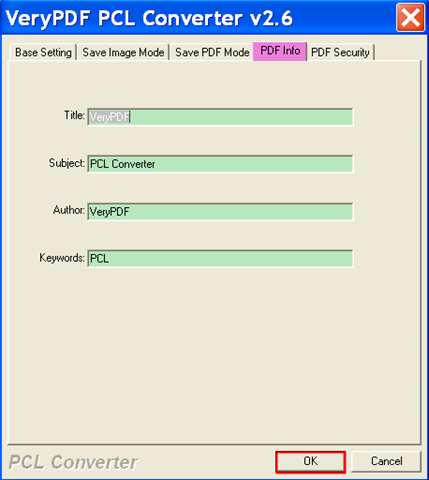 VeryPDF PCL Converter is a powerful application that can convert print files (PXL, PX3, and PCL) to PDF, JPG, BMP, PS, TIF, PCX, and PXL. It can not only convert multiple PCL files in different directories to one or multiple PDF file(s), but also can convert PCL files in a folder to a single PDF. What’s more, it supports to add PDF information such as title, subject, author and keywords to the created PDF file. 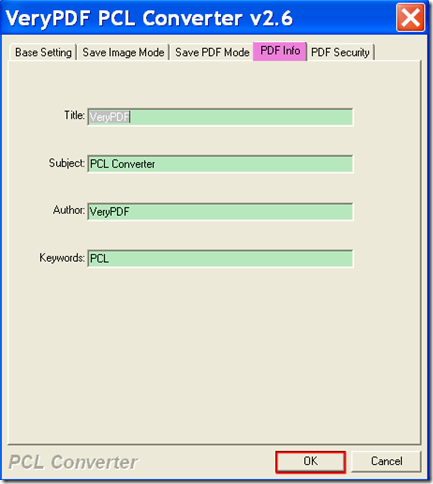 In the following contents, you can see how to use this application to convert PCL files in a folder to one PDF and set PDF properties. Please download the installer of VeryPDF PCL Converter at first. Then, please double click the downloaded installer and follow the setup wizard to install it on the computer. After the installation, there should be a shortcut icon on the desktop. Please double click it to open this software. To add the PCL files in a folder into the application, please click File(F) in the top menu bar and choose “Add Directory…” to open the “Browse for Folder” window in which you can choose the folder containing PCL files. Please see it in the following snapshot. Please click the Setting button in the bottom tool bar to open the “setting” interface. To convert the PCL files to PDF, please click the Base Setting tab on top of the opened “setting” interface and then choose PDF in the drop-down list of “Output format”. 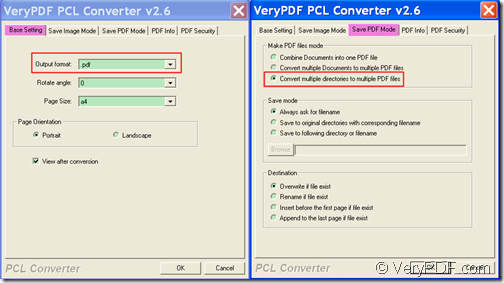 After that, please click the Save PDF Mode tab can then check the radio button of “Convert multiple directories to multiple PDF files” in the group box of “Make PDF files mode”. Please see it in the next snapshot. To add PDF information to the created PDF, please click the PDF Info tab and set title, subject, author and keywords in the corresponding edit box. Then, please click the OK button to save the settings. Please see it in the following snapshot. Please click Start button in the bottom tool bar to convert the PCL files in the added folder to one PDF file. In the popup “Browse for Folder” window, please choose a placation for the PDF file. Several seconds later, you can see the created PDF in the specified location. You can see the created PDF and the PDF information from the following snapshot. Note: The trial version will leave watermarks on the created PDF. To remove the watermarks, please buy the full version of VeryPDF PCL Converter. How to call PCL Converter SDK from C#? How to convert multi-page PCL file to multiple TIFF files? This entry was posted in PCL Converter and tagged PCL to PDF. Bookmark the permalink.